Editor's Note: This story was originally published in January of 2015. 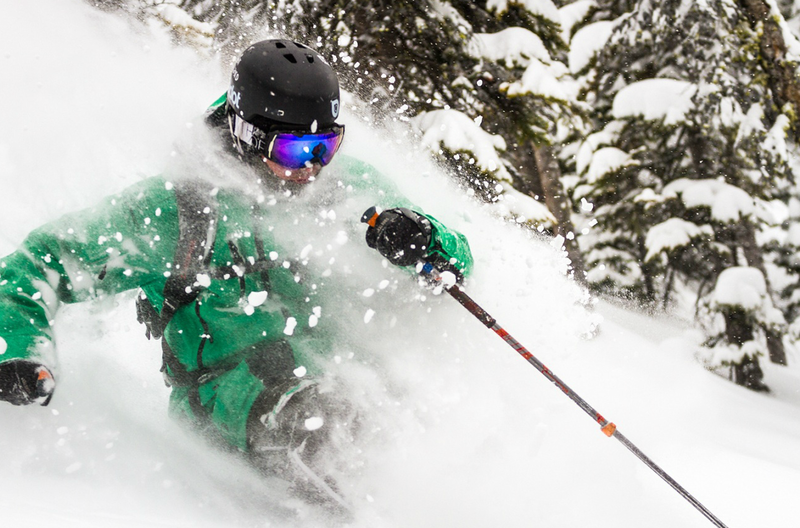 Before Andy Brown moved to Golden, BC to work at Kicking Horse, British Columbia’s crowd-free mini Jackson Hole, he’d leave home in Calgary every Saturday morning at 5 AM and drive 3.5 hours, passing four other resorts to get first chair at Kicking Horse. 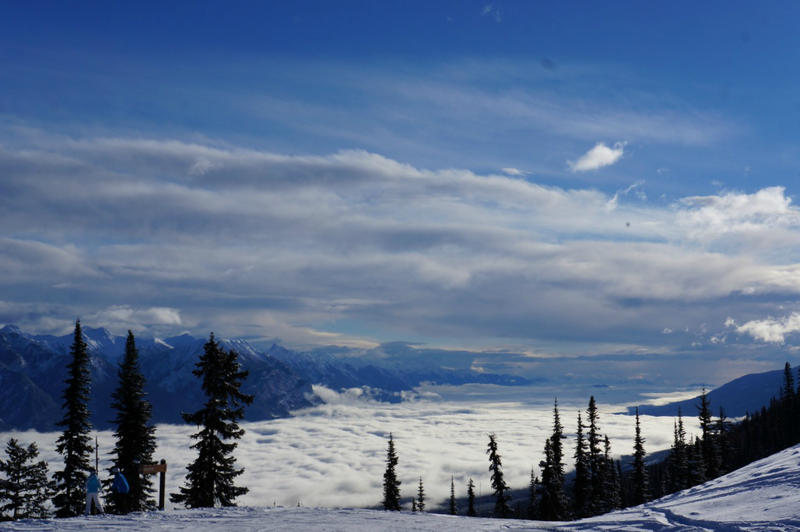 Kicking Horse’s draw is not just its 4,000+ feet of vertical, or the nearly 300 inches of snow that fall on its slopes each year. It’s a skier’s haven—with 45% advanced terrain—the trail map is a black diamond mine, with at least eight expert runs not yet named. “Most people are here to get the goods,” says Brown. 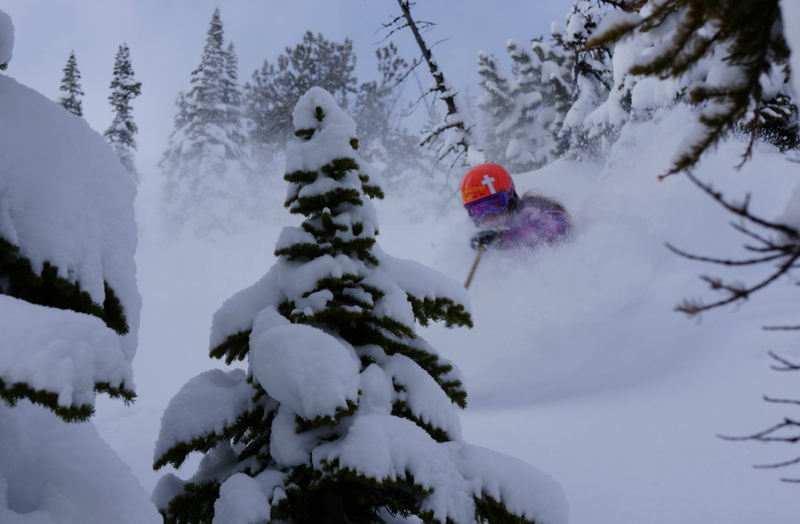 “With 2,800 inbounds acres, it’s always low population density, even on the biggest weekends, when the resort might get a whopping 4,000 visitors. There is a lot of room out there.” It’s also the only resort where you look both ways over your shoulder before dropping in to make sure no one sees your line. Here’s how to find that line—from one of its employees and biggest fans. “Midweek—the lines are short, and if it snows, you’re pretty much guaranteed to find powder on every run,” says Brown. First run—Brown says: “Hop on the Golden Eagle Express gondola—it’s 12 minutes and 3,700 feet of vert to the top. Drop down Crystal Bowl to get an idea of the terrain.” For advanced skiers, Kicking Horse’s magic is in its tangle of crisscrossing couloirs, chutes, pillow lines, cliffs and steep tree runs. “Point your skis down CPR ridge, and drop north to Stairway to Heaven Chair, then take it to the top,” says Brown. “That’s the resort’s highest point, and now you’ll have the full lay of the (alpine) land—views of Redemption Ridge, CPR ridge and Terminator Peak. From here, intermediate skiers should ski top to bottom on Cloud 9 on It’s A Ten—the easiest route down and a great warmup, or Blaster, which was just re-graded to make it more friendly for intermediate skiers. Below the alpine, weave through open old growth glades. It’s undulating terrain. Keep in mind, even the groomers aren’t in fact groomed every day. 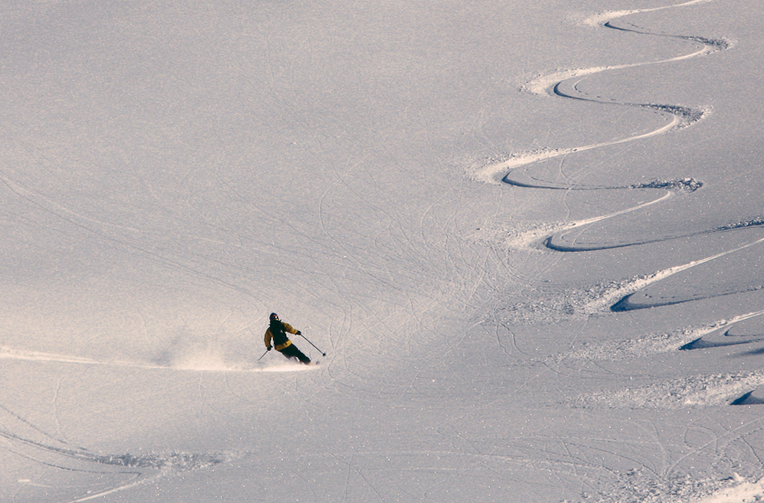 So, ask where the corduroy is, but be sure to sample some groomer pow. Out of Fuze bowl, try Wiley Coyote, Grizzly Paw or Porcupine—they’re wide-open, high-speed runs that funnel you back to the gondola for another lap. Experts: There are so many alpine chutes at Kicking Horse—85 officially—not everything is on the map, and the resort doesn’t sign most runs off the ridges, so you have to ski a few laps to get a feel for where you are. Brown says explore. “Head down Redemption Ridge back to Stairway, or drop into Feuz Bowl and work your way back to the gondola.” Interlinking chutes, some are only 250-500 feet, and they range from 30° to 45°, drop off the ridge. “Everything north facing is rocky chutes,” says Brown. “South facing you’ll ski gladed tree runs all the way under Stairway to Heaven. Blast out on groomers for another lap on the gondy, and a rest for your legs after logging 4,133 feet of vert. Lap two: Now that you’re warmed up, show off. Head south on Redemption to the 40° gladed runs under the gondola, sending Rock Star Cliffs if you want it. You’ll launch 20 feet below the gondy, and land in steep terrain. Ski Show Off—a long, steep run that follows the gondy line. “It’s high speed terrain through open glades—old avy paths where the trees are gone,” says Brown. Lower on ridge, fun trees that hold snow lead you into Pride Rock—“it looks like straight out of Lion King,” says Brown. Lap three: Work your legs out on T1—the closest of Kicking Horse’s hike-to terrain. Boot to the top of Terminator Peak skier’s right of the gondola. Follow Millie Goat traverse across headwall of Bowl Over. It’s 15-20 minutes to the top, and the second highest spot at the resort. “From there you get to choose,” says Brown. “Ski down the ridge to Truth or Dare, where Kicking Horse runs its Wrangle the Chute big mountain comp, which is now a four star Freeride World Tour qualifier. Or, point your skis south along T1 ridge to one of the 12 marked black or double black chutes. Some are gladed, some have cliffs, and you’ll get the biggest vert in the alpine and one of the longest runs at the resort. Kicking Horse staggers its bowl openings. Usually Bowl Over and Crystal Bowl are first, Fuze and Super Bowl come next. “Pay attention, talk to patrollers, and you’ll maximize your pow,” says Brown. Nice locals will point you in right direction, but not surprisingly, no one will point you to their secret spots. Pay to play: Hire a Big Mountain Guide ($550/day for up to six people) to get to the best of the best goods. It includes lift line priority, and pointers to get you back to your favorite spots on your next day. Our advice—bring a GPS. Boo, a 14-year old grizzly bear, lives in a refuge under the gondola between towers eight and nine. He’s hibernating most of the winter, but if you’re spring skiing you might catch him. Boo’s mom was shot by a poacher when he was three months old. 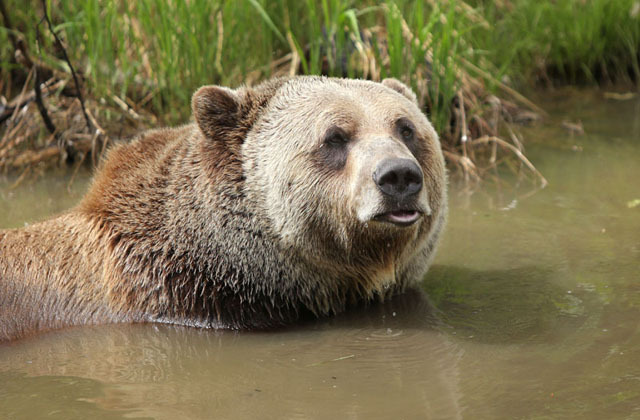 He was rescued, raised in Vancouver, and now is bear in residence at Kicking Horse’s bear education and research facility—a 20-acre enclosure. Breakfast: Skiing Kicking Horse will burn some calories. Grab breakfast at Whitetooth Grill in the resort’s Day Lodge—it’s never busy, and it’s reasonably priced. Sit down with a plate of bacon and eggs while you put your boots on, or grab a “patroller” burrito—eggs, sausage, sour cream and hash browns inside—and eat it on the lift. The Grill opens an hour before the gondy starts spinning. Best coffee: Slopeside Café pulls espresso, lattes and the like across from the ticket desk, also in the Day Lodge. 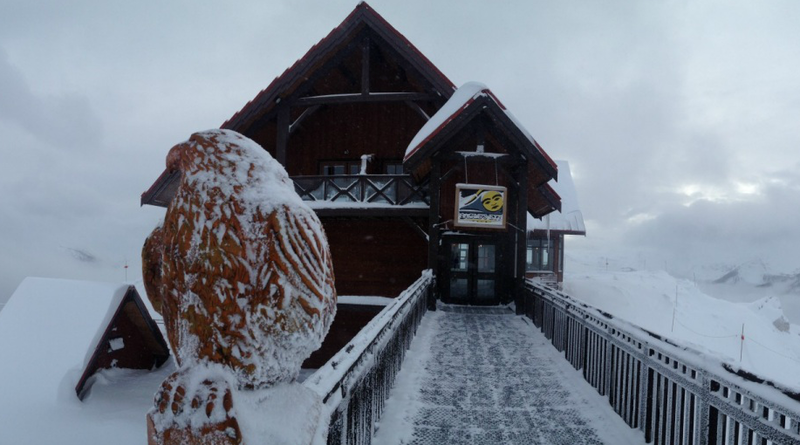 Lunch: Eagles Eye, at the top of the gondola, looks fancy but there are soup and sandwich deals everyday. With a pint of Kokanee, it’ll run you CN$19. Also on the menu: beef, wild game burgers, and filling pastas. It’s not a dirtbag lunch stop, but it’s not exorbitant. Plus you get epic views, and when you wash down that last bite of bison burger, you click your skis on and go for your run. Après: White Tooth Grill at Kicking Horse’s base is where locals go, ski boots still on, for drinks and live music. “It’s loud, shoulder to shoulder, and the best place to swap tales of the day’s adventures,” says Brown. Kicking Horse Saloon is family friendly with giant Jenga, shelves of board games, and big booths. Dinner and Apres #2: For a special dinner on Friday or Saturday night—Brown says head back to Eagles Eye. “It’s the highest restaurant in Canada, you dine overlooking Glacier National Park, and you get a night gondola ride up and down. It’s 20-$35 for an entrée. On a budget? Head into Golden. Wolf’s Den has four pages of burgers to choose from. For live music and a bite to eat—Golden Taps Pub is intimate. 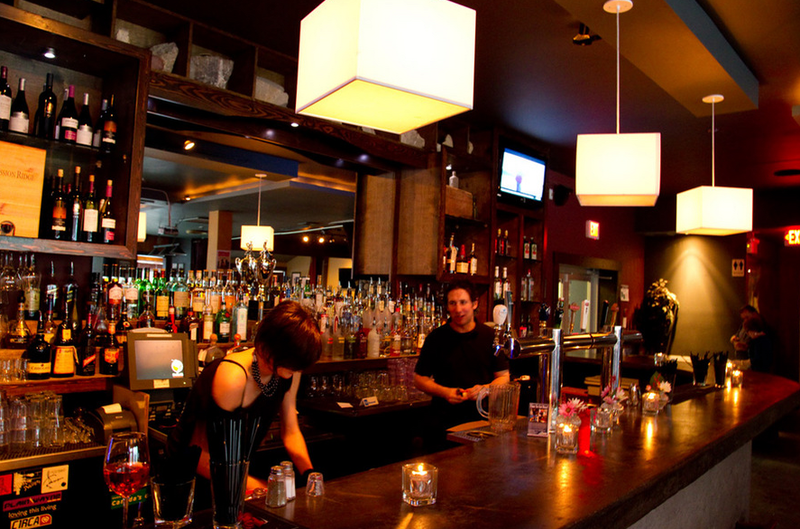 Then hit Rockwater, the local bar and nightclub. Don't miss Thursday night jam night at Golden Taps. “It’s a must-go,” says Brown. “There is a constant stream of musicians swapping on stage, and Thursday is Saturday for locals, who hide when the weekend crowds come to town. 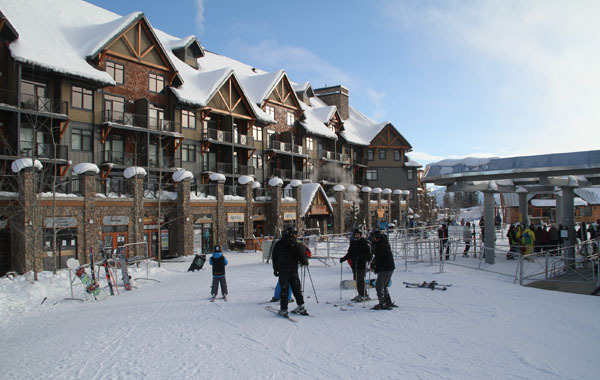 Boutique hotels at Kicking Horse’s base have one to two bedroom suites. Groups should consider a slopeside townhouse. They sleep five to 18, many are ski in ski out, and most have a garage for skis. On the cheap, overnight in Golden. Mary’s Motel is a quite, family-run motel that’s walking distance to nightlife, but an 8.5-mile drive to skiing. Currently, there’s no public bus to and from the resort, but there may be once skis season gets underway. If you want an experience you’ll never forget, stay the night at Eagle’s Eye Suites at 7700 feet at the top of the gondola overlooking Golden, Rocky, Purcell and Selkirk Mountains, Glacier Park, and the Columbia Valley. Included: a private chef, private butler, dinner, breakfast, first tracks with a guide, line priority all day, and a deluxe room at the top. 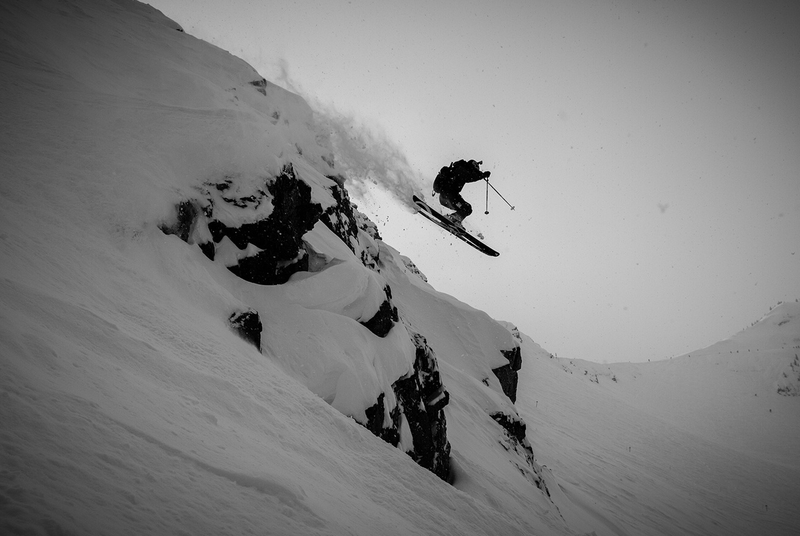 Skiing is not the only thing that Kicking Horse and Golden have to offer. If you’re going out of bounds, avy skills are essential. 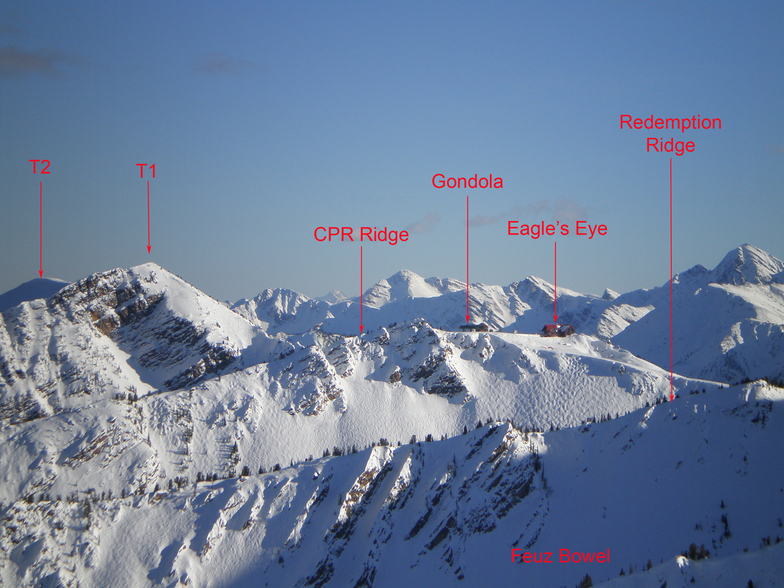 Kicking Horse offers Avalanche Skills Training for advanced skiers. Dip in natural hot springs 90 minutes from Kicking Horse, or stop at Radium Hot Springs—it’s an hour away. Snowmobile tours leave from Kicking Horse’s parking lot. Heli ski with one of the founders of the sport, Rudi Gertsch, at Purcell Heli Skiing. 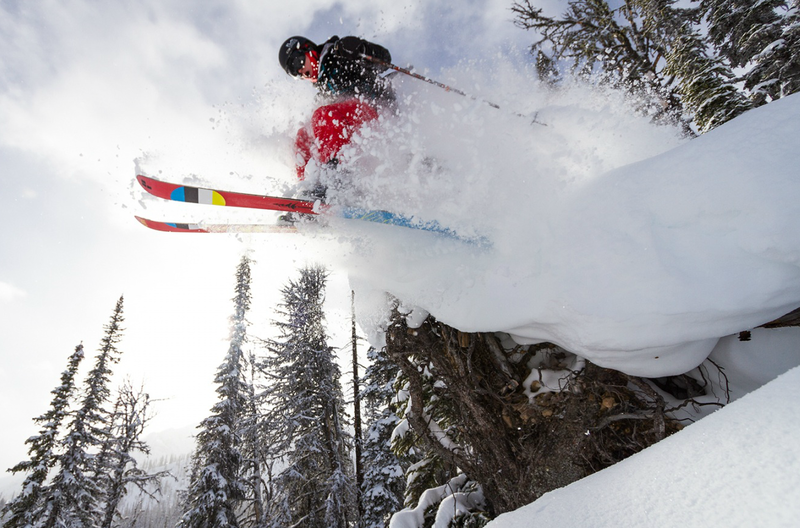 Or kick and glide through Kicking Horse’s extensive Nordic network.